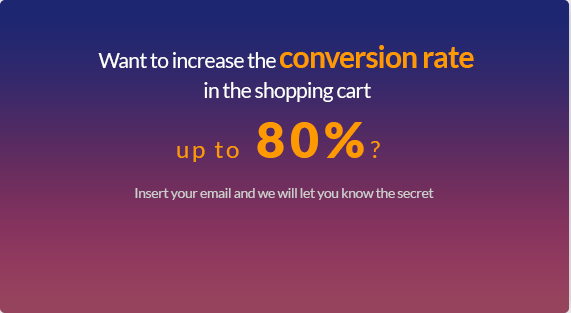 Shop owner will increase their revenue up to 70% when using One Page checkout products as a great review from our beloved customer because their customers do not want to create an account and log in, they simply want to visit the site as a ''guest'' and make their purchase anonymously. It reduces from three steps to just one step. Furthermore, one of the biggest benefits of one page checkout is the option for guest checkout. The checking out process is only on a single page that helps customers save their time and their money as well. 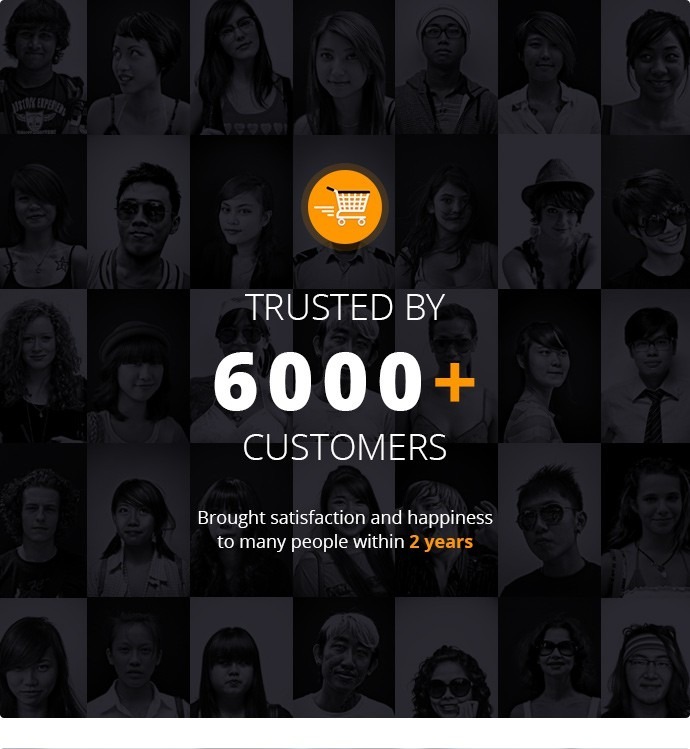 With the first version released on 2014, One page checkout brings satisfaction and happiness to over 6,000 customers. 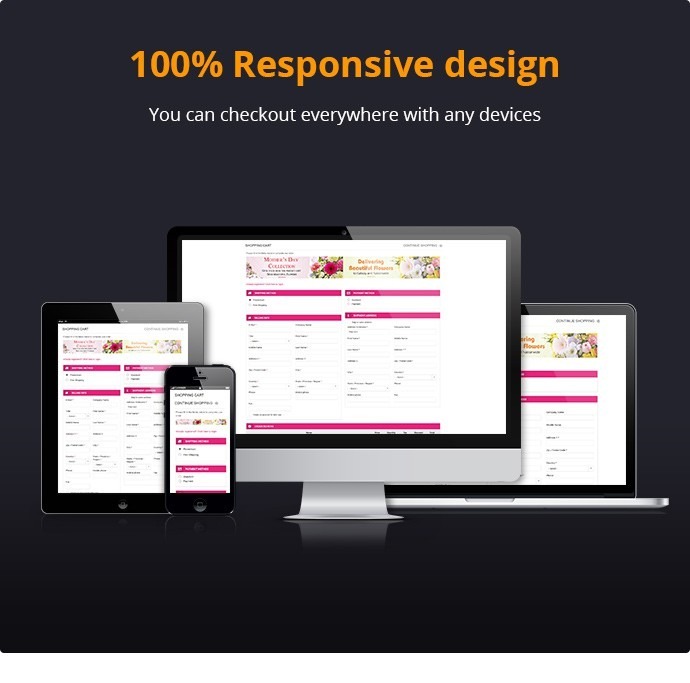 Smart phones and tablets are the most viral device today because more than 50% of traffic come from there, it is more important than ever that your online store using One page checkout with 100% responsive design. 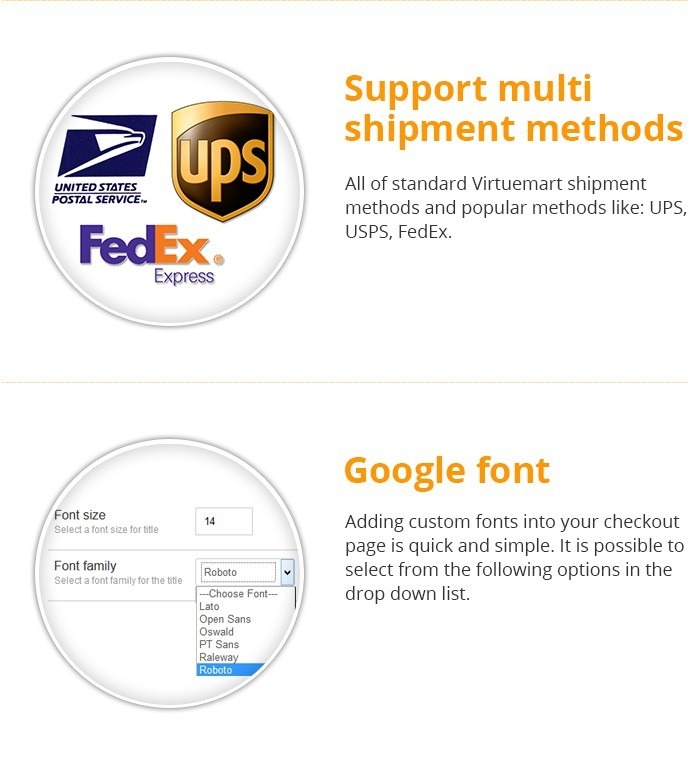 One page checkout for Virtuemart is very easy to use and convenient. Customers choose a product which they like from the shop, choose quantity and parameters. And then click on "Add to card" button. All things display only on one page. Customers fill full information as Billing info, Shipment address, shipping method, Payment method, Delivery date and please note a coupon code for discount. Finish with one click on ''Confirm order'' button. Easily to install in Joomla platform, as video of configuration above, shop owner can drag and drop modules from the left to change layout of One Page Checkout page or adding module from the right to the left is possible. 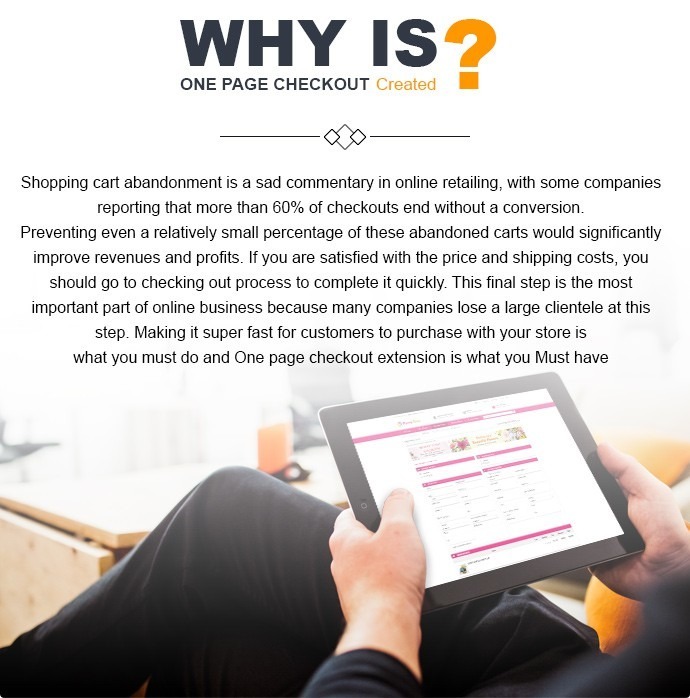 It creates unlimited checkout layout. 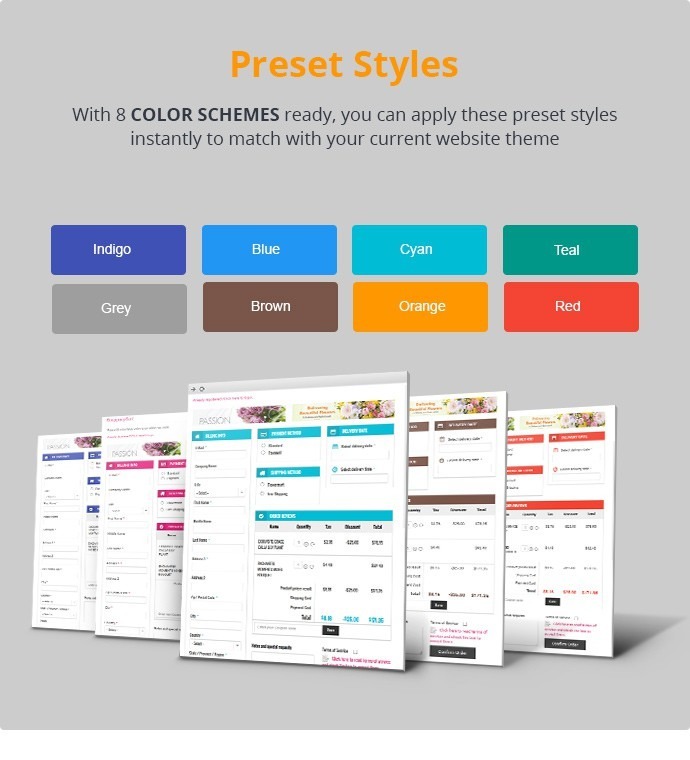 Besides that you can change your own style with 8 predefined colors available or you can easily to set your own favorite color, make your checkout process more interesting. Furthermore, you can set your delivery date or others with just a few clicks. Shop owner can upload or custom background image. You can find more interesting setting in our live demo for One page checkout that brings many convenient to your customers. 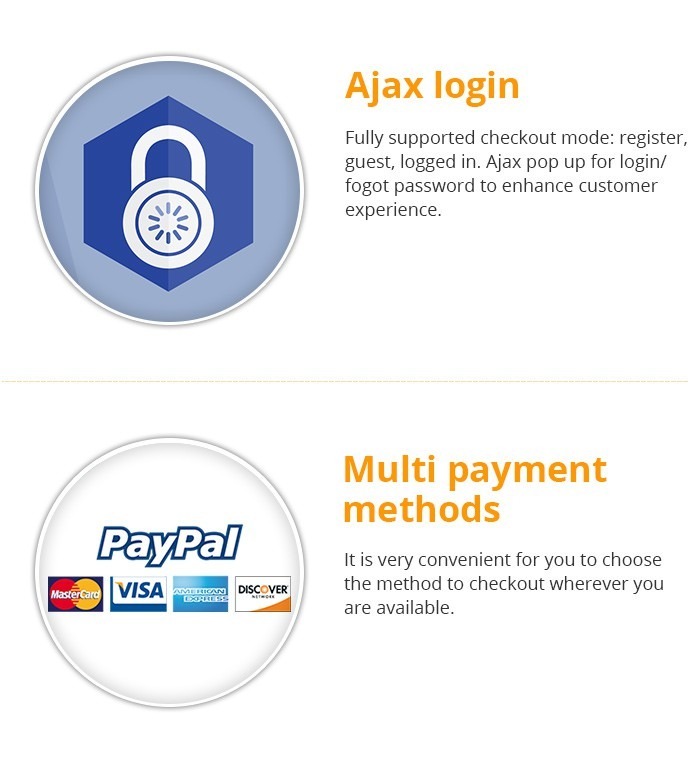 One Step Checkout is easy to integrate and fully compatible with your Virtuemart store. Customizable - Every module can be changed colors, background colors, text, fonts, integrated with the visual editor. 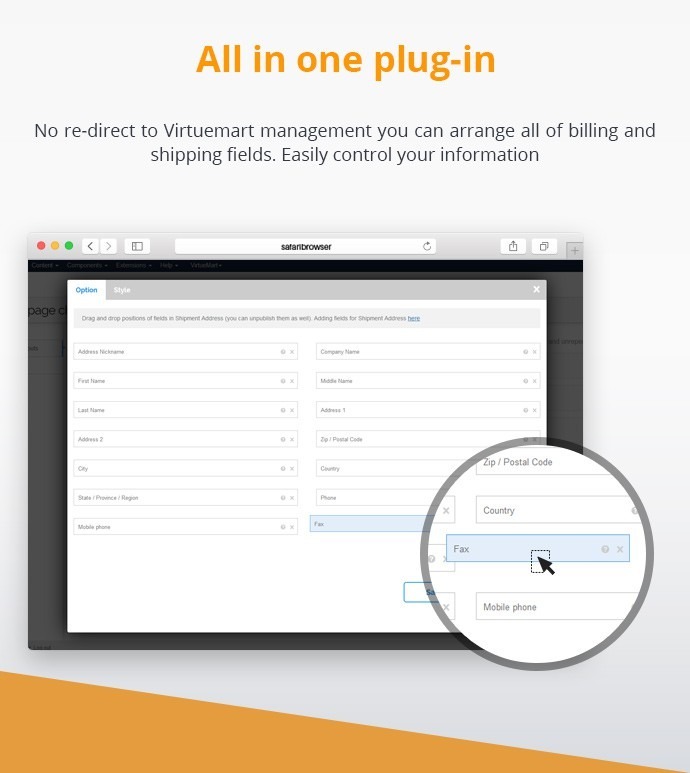 No re-direct to Virtuemart management you can arrange all of billing and shipping fields. 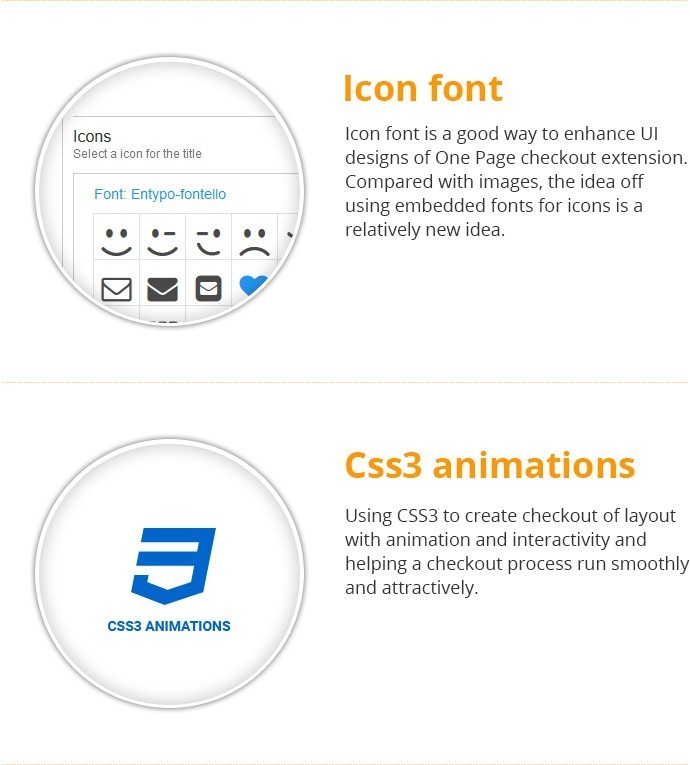 Icon font is a good way to enhance UI designs of One Page checkout extension. 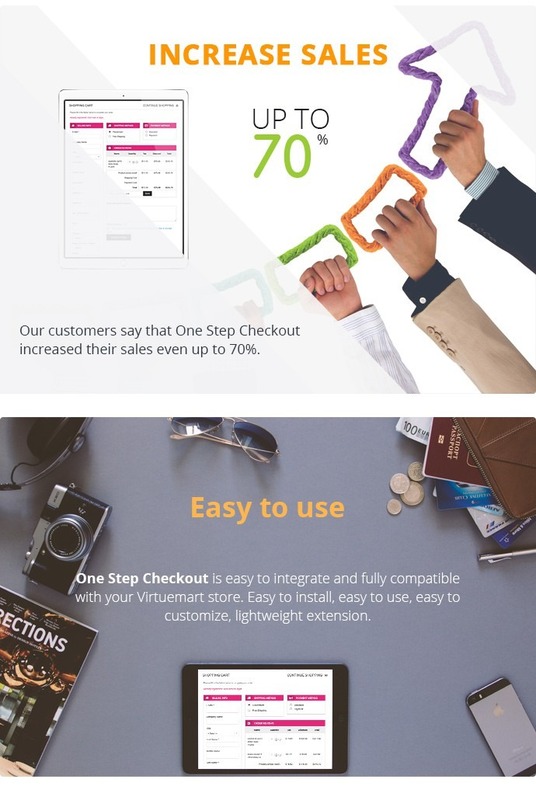 Increase sales - Our customers say that One Step Checkout increased their sales even up to 70%. Choose delivery time at checkout process - Everybody loves a little extra! So why don't satisfy your customers with more add-on options? 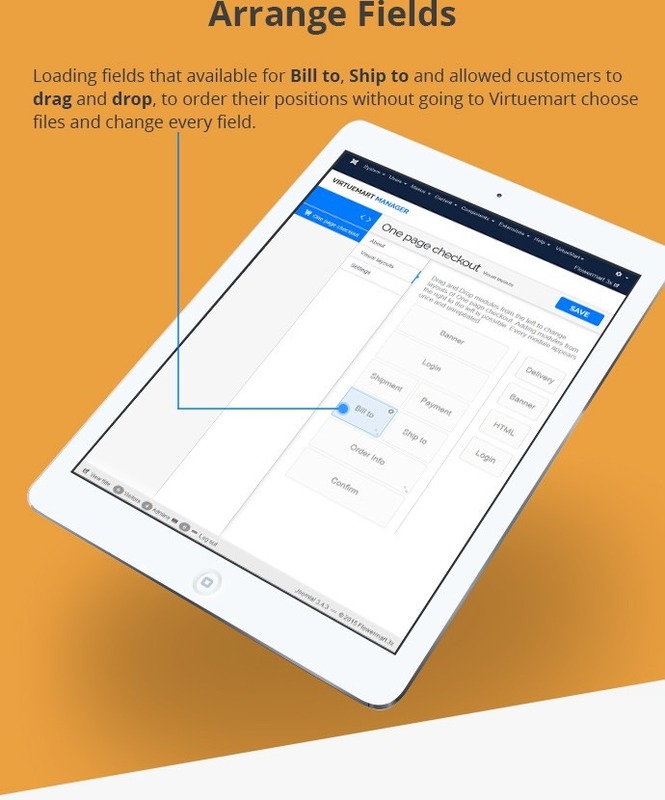 Arrange fields - Loading fields that available for Bill to, Ship To and allowed customers to drag and drop, to order their positions without going to Virtuemart choose files and change every field. Fantastic support! Very helpful and friendly. 5 Stars! Thanks a lot! Thank you very much for your prompt reply. Problem solved! Очень удобный и функциональный модуль. Можно настроить под себя. Техподдержка помогает очень хорошо - помогли настроить под мой хостинг и под оплату сбербанком бесплатно! Рекомендую! Answered quickly and solved the question. The support is very fast when there is problem! Thank you Binh for your support! I think in 5.4.5 there is a bug in Paypal redirection hope in the next update my ticket problem will be in it! Thank you for the quick resolution and for the great service! Excellent customer support!!! Could not ask for more, thank you so much. The problem was solved. Thanks. 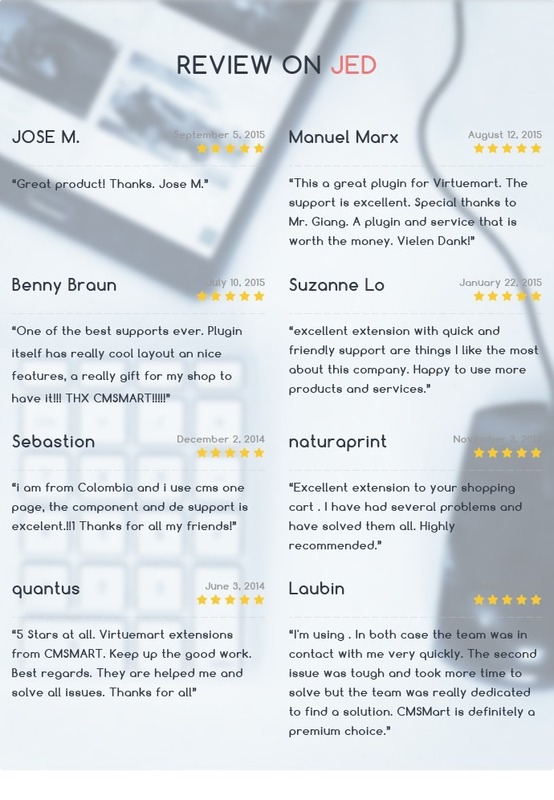 Your product quality and support service totally deserve 5 stars rate. Abandonment rate on my site declined considerably. That's a good news. Thank you so much! Thank you! Great product with even better after sales support! Great component and really great service. Quick response and fast fixes. Thanks Giang. Great product. Easy to customize. Fast support for bugfixes. Very fast and professional service!! Thank you very much for the fast and friendly support! Great product with excellent support - a must have for Virtuemart! Thank you for helping. https://www.facebook.com/CmsmartMarketplace/reviews -done. Oddly enough, I installed 5.3.0 with VM 3.2.1, and it's working now. So, maybe I'm lucky. Of course, we're only using Paypal, and also other simple settings. So, perhaps that's way. In any case, it does appear to be working now. Nice product and great work Giang Vu! 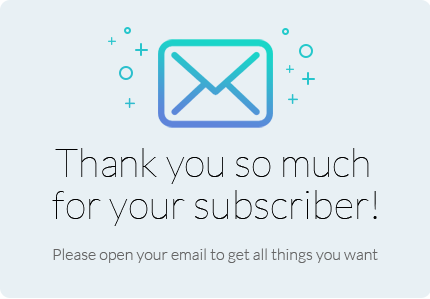 I bought two extensions from this company and this is the summary of my opinion on their products and services: - Clean codes - Excellent performance - Excellent Support I'm really satisfied by my shopping. It does exactly what it promises. No more many irritating steps and painful page loadings. One page to order with ease and attract new customers. "One page to rule them all"
Great product with high quality. I like the way support team work as well. thumbs up! Everything about this extension is perfect, useful. It is easy to use, all-in-one, highest rate and best customer support. Good job. This extension is really reccomended. Everything works perfect after a simply installation and for the little tweeks that i need there is a ticket center where the developer answer and in some case make fix for you. After few days the conversion rate of my site is increased yet! I bought their One Page Checkout extension for my site and encountered some problems to configure it to fit my site. The provider is very quick in responding through their ticket system as well as on Skype. I need to say that I am impressed by this Hanoi-based team and will explore more products that they have to offer in the future. The one page extension for VM is really recommended. Had some minor installation issues but their support system was quick to fix the situation. Customers love this new extension, they find it a lot easier and faster to check out. If you are considering which 'one page' solution to go for for your Virtuemart checkout, STOP HERE! - This is it! I've had these guys install this on two of my sites with absolutely no fuss. It works brilliantly and the support is superb. You may think it's expensive but it's simply not, I noticed the increase in orders pretty much straight away, so it's worth every penny. I am totally satisfied with the purchase of the plugin as I expect to buy more products here. This is really a great product. It worked as stated with a little issue but support was great and very quick!!!! Worth every dollar!! Ottimo prodotto! :) ed ottima assistenza! lo consiglio caldamente! Facile da installare e completo di tutte le funzionalità che si possono desiderare. 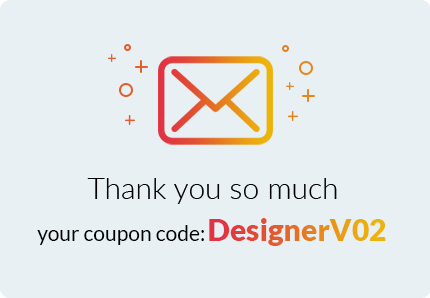 In the last months I have bought five different extensions to use in my online store and this one was the best support I have received. Quick, easy and they did exactly what I needed. The extension works like a charm and it helps a lot to summarize in just one page all the check-out procedure. It also fixed some problems that I had with virtuemart. In my opinion: a very good investment for my web page. Fantastic support and an excellent product! 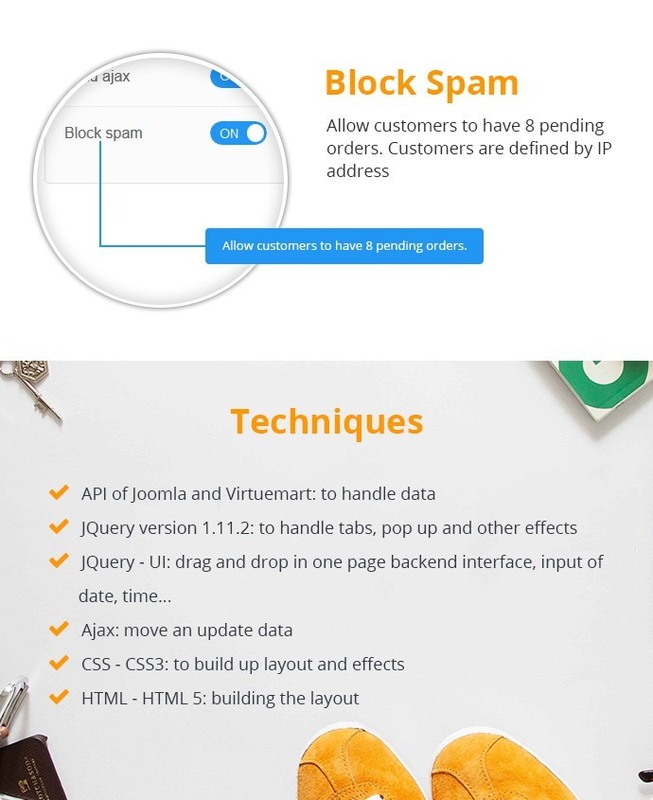 CMSMART have a good support team, it provide me the technical solution when I encounter the problem in my side, one page check out product is really can help my site billing smoothly! One page checkout does what it says. So much better than the standard checkout process. 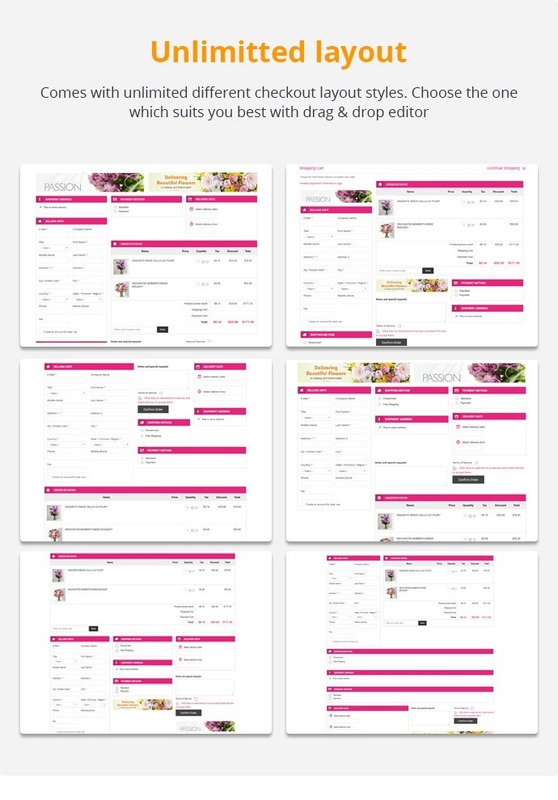 Standard checkout process of Virtuemart is too complicated and is does not look attractive better said a bit messy. This can lose you customers. One page checkout looks good, is easy to customize with css and the most important thing, easy to use! I’m 100% sure sales increase only by using this plugin. We use this plugin on a multilingual site straight out of the box it had some problems in combination with my template but the support team is supurb. They had it running in no time. I even asked them to make some tweaks to it and they did this for free! If you are looking for a real one page checkout for VM2, this is the thing! I recommend it and will use it in all my VM2 shops for sure. Nice plugin with high potential - Support is great and quick. The guys know what they are doing. The plugin is really necessary for every customer oriented site. This extension works quite well. It certainly improves your chances of customers checking out via your store. I had do some minor tweaks, and the support team stepped in very fast to help me out. 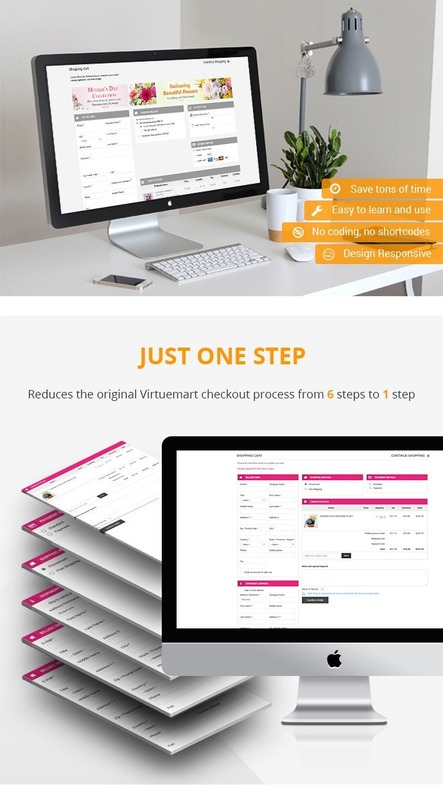 This is a very good One Page Checkout Solution for Virtuemart. Information is displayed in a very clear manner for the customer checking out as a guest or who is registering. Nice looking check out page for virtuemart. Fully responsive.I had some problems with the setting but the support was great. 5-stars for Fast, friendly, and helpful support. Ottimo componente, ottima assistenza, cliente soddisfatto. Ho installato facilmente il componente e mi ha risolto tantissimi problemi, l'assistenza è stata molto comprensiva e mi ha risolto diversi problemi. E' andato tutto molto bene. I am very pleased with the good service from One Page Checkout For Virtuemart Whenever I had a problem, they assisted me within the 24 hours. My client, requested to set the order button to the left. But i had no idea how i had to do this, after 24 houres of trying i gave up and mailed the guys of One Page Cheackout for support. Within the hour my problem was fixed. I'm really pleased with the great service and the online support. Also with the fast responding time. Your e-commerce will not be truly user friendly until you are using One Page Checkout! 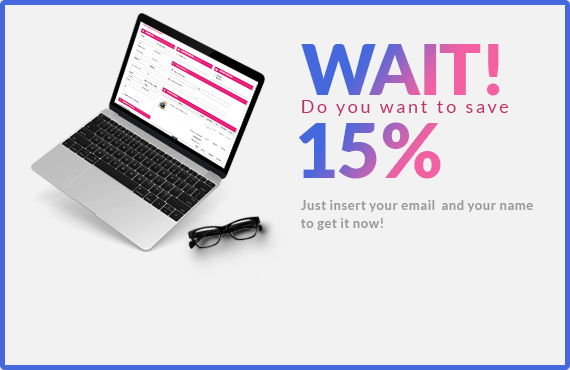 My clients love this extension, it makes it a truly one page checkout for customers! Better yet is the customer service and support that you get from CMSMart! Any time I have an issue with customizing their extensions, they are more than happy to help me out! Can't say enough about this company! I'm using . In both case the team was in contact with me very quickly. The second issue was tough and took more time to solve but the team was really dedicated to find a solution. CMSMart is definitely a premium choice. Great, this product is excellent! Excellent extension to your shopping cart . I have had several problems and have solved them all. Highly recommended . i am from Colombia and i use cms one page, the component and de support is excelent.! !1 Thanks for all my friends! Customer support, Paul, is awesome! Made my week after several java issues. He solved them all and I have to say I am really happy. I had even tried the other (4) one page plugins but nobody had ever responded to my issues. Within just a few hours everything was fixed right up. This is a must have for virtuemart. excellent extension with quick and friendly support are things I like the most about this company. Happy to use more products and services. I purchased this VM Onepage plugin with CMS's VM Delivery Plugin for a florist eCommerce site to improve its features and Warrior Hoàng from the support team helped me along the way to resolve many technical issues. Lightning fast support! Cmsmart is highly recommended! One of the best supports ever. 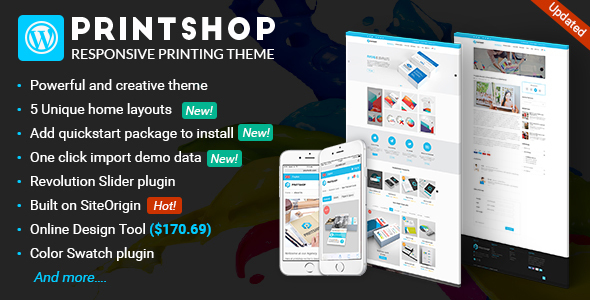 Plugin itself has really cool layout an nice features, a really gift for my shop to have it!!! THX CMSMART!!!!! This a great plugin for Virtuemart. The support is excellent. Special thanks to Mr. Giang. A plugin and service that is worth the money. Vielen Dank! Great product! Thanks. Jose M.
Good product ! Users can manage PDF invoices easy, convenient and very secure. My website needed such products. A product of 10 points for the quality, it helps to save time and make the business strategy for its stores. Thank the developers. Hi, I would like to buy this plugin. But I need to ask one thing. If you see, when you are not logged in, I need not toshow the prices in the cart. Does this plugin support this possibility as the cart is set up now? I need to show prices only when customers login. Thank you so much for interested in our product. Our developer have check and found that our product can do it as you want. Please purchase our product, then our developer will check and solve this problem for you. 1. Do you get the template and the check out listed in the demo or just the checkout that links to the base virtuemart i have? Please help me clear, I don't understand what you mean. Our Market is a large sales market, there are many who believe and use our products. Up to this point no any customer complains about our policy so you can be assured that our product works exactly as Demo. 4. WHAT DOES THIS MEAN? Product is used for end user not for trading. That mean after you purchase our product, you unauthorized sell it to anyone. It is a total price includes the item price and support fee within 6 months. That mean after purchase our product, you have free support for 6 month. And from now, please help me follow your ticket to get a professional support. 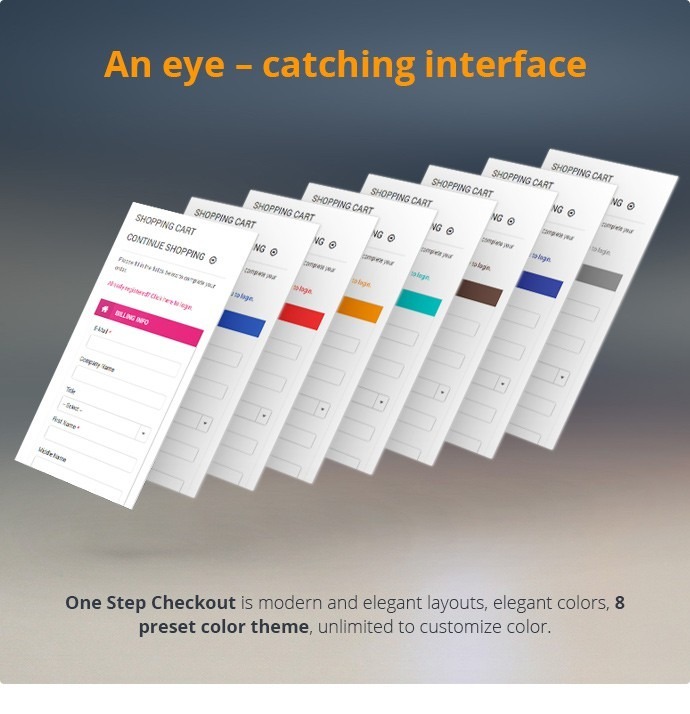 Please see it at here: http://cmsmart.net/magento-extensions/magento-one-step-checkout-extension and check. I'm understand. Please wait, I will discuss and reply for you on next week. Because we have TRADITIONAL TET HOLIDAY FROM 6 TO 14, FEB 2016. And we will come back to support on 15 Feb 2016. We hope you could understand. 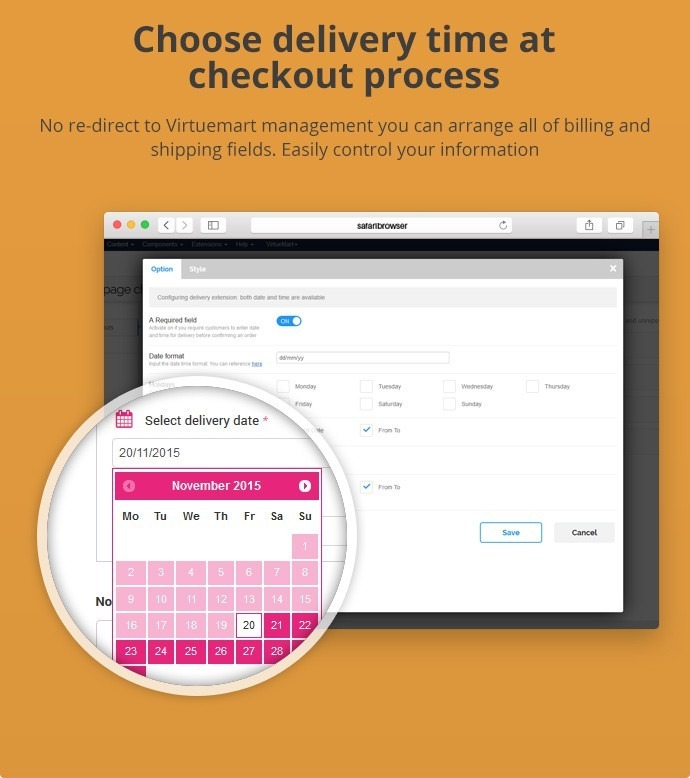 If you want 1 day trial for One page checkout for Virtuemart, we will discuss and reply for you on next week. Sure, OneStepCheckout already compatible with VirtueMart 3.0.12 and 3.0.10 for the moment. If you need, you can use VirtueMart 3.0.12. One page checkout component give me this error when i go cart page..
Hello. By pressing a button "Order confirmation", nothing happens. Virtuemart 3.0.8 Joomla 3.4.1, One Step Checkout for VirtueMart 4.5.0, Overrides and jQuery, Onestepcheckout plugins in package 4.5.0. I wrote about this here http://cloodo.com/issues/14747. Please help solve the problem. Thanks in advance. Hello. I got help from the developers of this component. Already twice. Very quickly. I am very glad. Any idea how they got to the solution and where the problem with the extension is? You can purchase our installation service like as support fee: http://cmsmart.net/services/joomla-virtuemart-extension-installation. 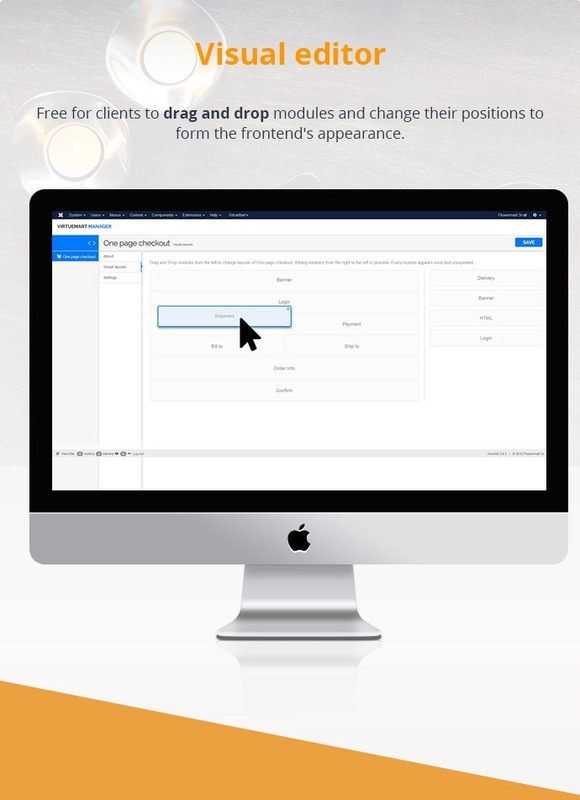 + Visual editor: Free for clients to drag and drop modules and change their positions to form the frontend's appearance. 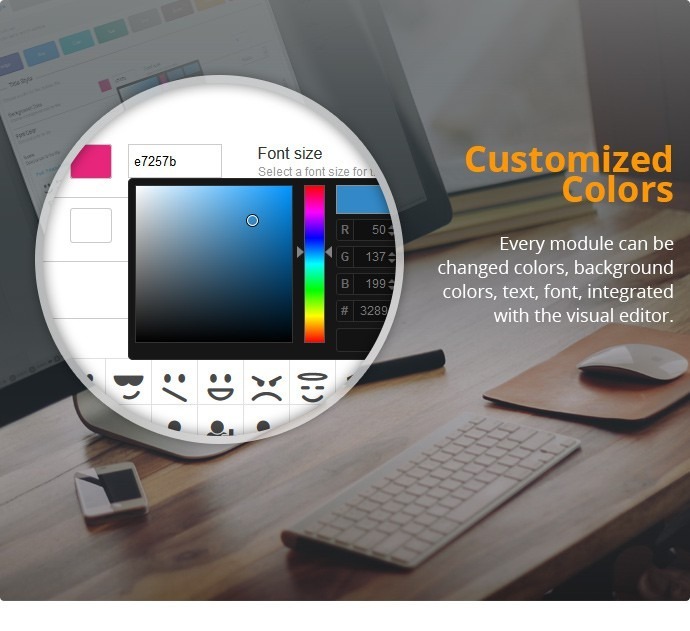 + Customized Colors: Every module can be changed colors, background colors, text, font, integrated with the visual editor. + Sort Fields: Loading fields that available for Bill to, Ship To and allowed customers to drag and drop, to order their positions without going to Virtuemart choose files and change every field. 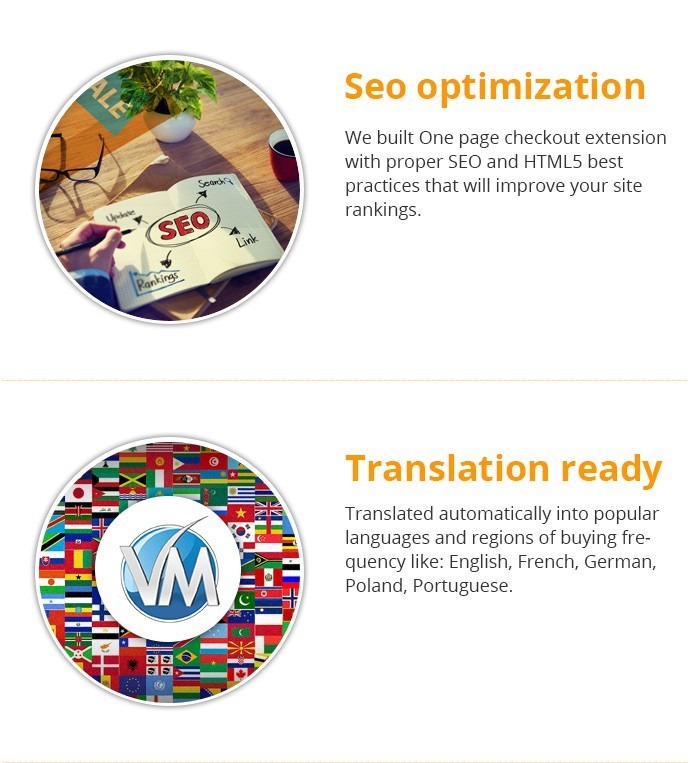 + Multiple languages supported: Translated automatically into popular languages and regions of buying frequency like: English, French, German, Poland, Portuguese.